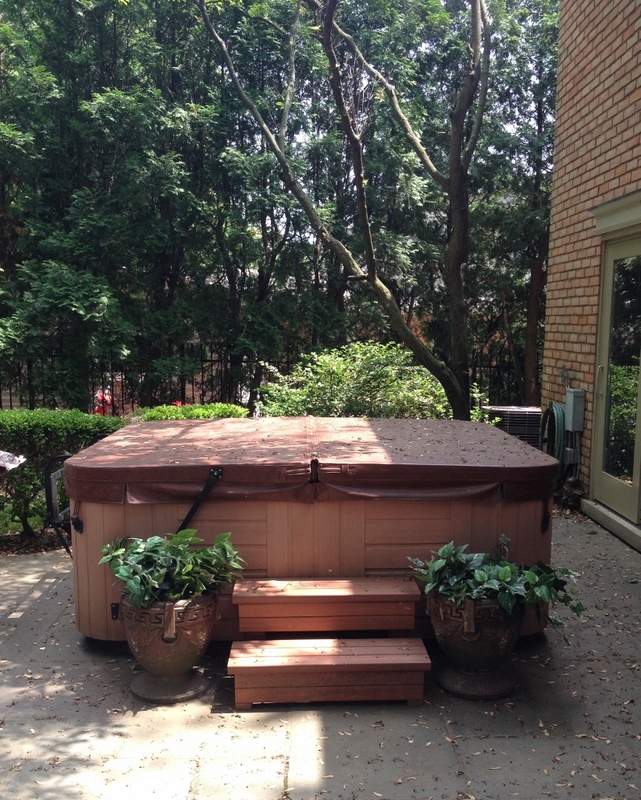 When we bought the house, we inherited a few things, including the hot tub. Flanking the tub are two planters that had a bunch of plastic vines and leaves in them. Why we didn’t get rid of them until now is baffling to me. They don’t look all that bad in the photos, but in person you could tell they were definitely fake. 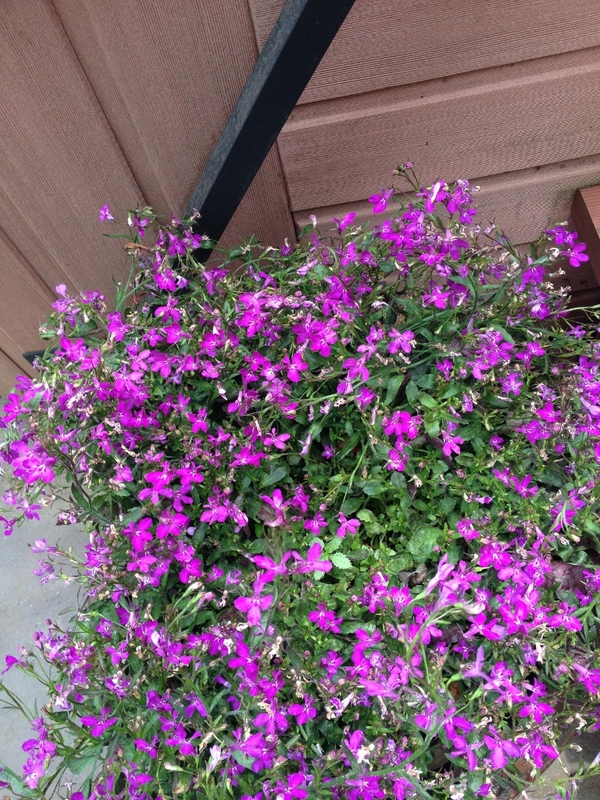 We bought two potted Lobelias (the tag also says “techno heat violet. attracts hummingbirds”) from one of the local nurseries for about $19.00 each. They are supposed to be in full sun, but there is no place in our backyard that gets full sun (which my gardening neighbor tells me is about 6 hours of sun). So far they have done well and we’ve relied strictly on the elements (no watering or fertilizing, etc.) and they should last through winter (going dormant, then coming back the following summer). 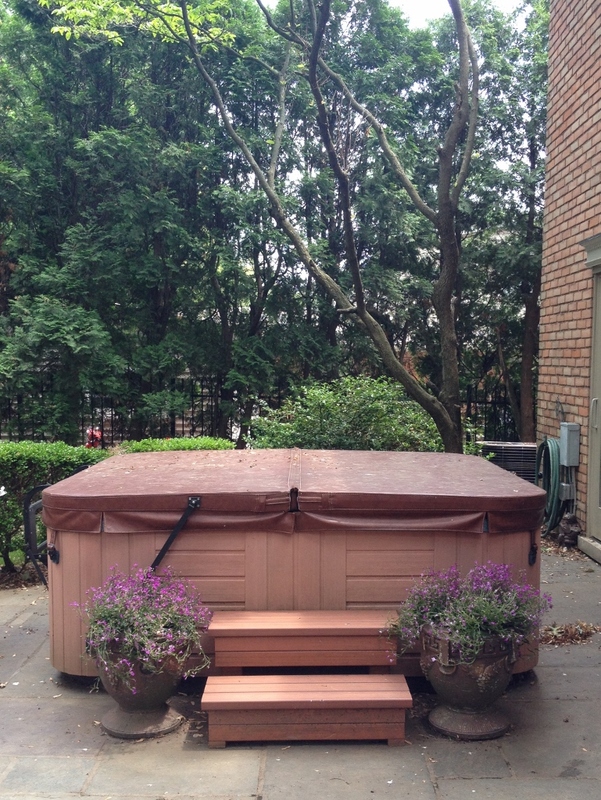 This entry was posted in Other and tagged Before and After, Garden, Gardening, Home Improvement, Outdoors, Patio, Plants, Potted Plants, Violet. Bookmark the permalink. Is that your yard?! Beautiful! Yes, thank you! 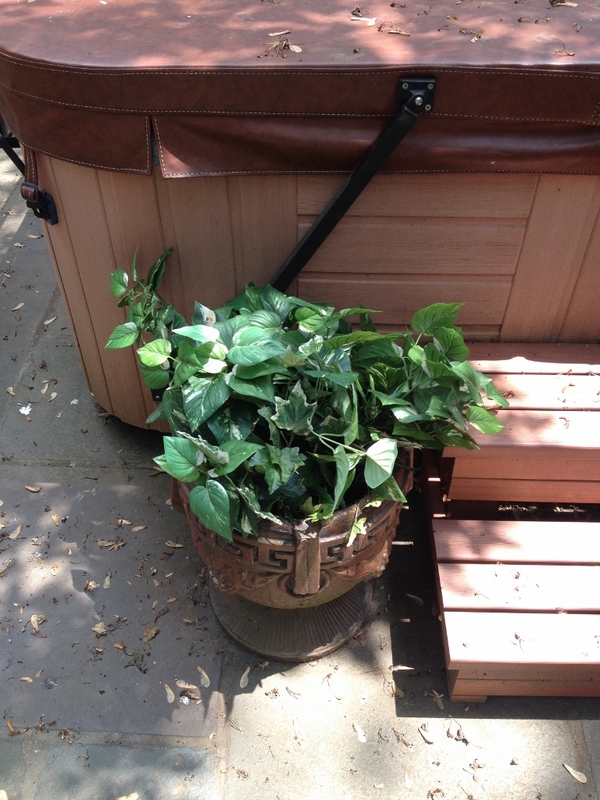 Just posted a longer entry about all our plants. So much work, but also great.